There is not a lot left to say about the legendary Pierre Hotel on Fifth Avenue—the fact that it never goes out of style says everything that you need to know. 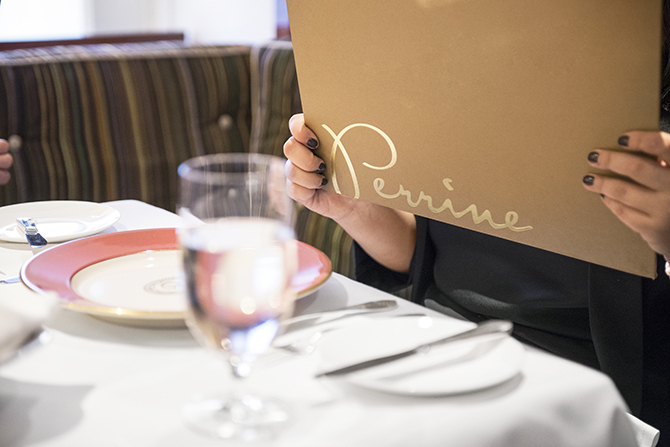 The sumptuous food at Perrine is fitting for such a landmark. 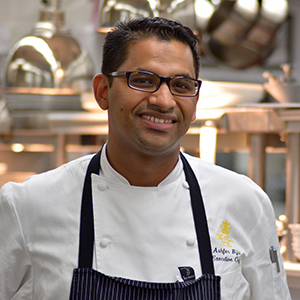 Executive Chef Ashfer Biju—who spent seven years working for island resorts prior to helping launch numerous restaurants—takes classic French and American dishes and gives them an exciting twist. The Perrine staff is attentive, and the cream-colored walls are lined with a great variety of 20th-century art that makes them worth perusing after dining. Adjacent to the restaurant is the legendary Rotunda with its famous dream-like hand-painted murals that pay tribute to Versailles (this is the most colorful and delicious spot to grab Afternoon Tea in all of Manhattan). On my visit, I had to try the filet mignon (perfectly medium rare just as I requested) and the short ribs (which is one of Biju’s signature dishes and arguably the best in the country). As expected, Perrine’s sides menu goes way past Pommes Frites although those are quite lovely here. The Braised Tuscan Kale (with charred sweet onions) is remarkably golden and crispy, and it will keep you from saying anything negative about kale ever again! The Asparagus Parmesan with caper lemon dressing is tender and citrusy. The Glazed Carrots with lime, orange, and chilies is simple but will knock the taste buds out of your mouth! Biju’s a master of soups, and the Spring Leeks & Sunchokes Soup is already a staple on the menu because so many “ladies who lunch” request it. 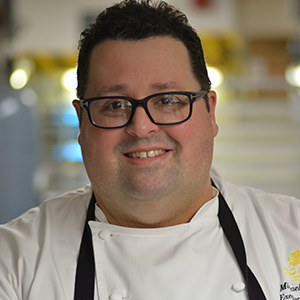 Perrine is on the cutting edge when it comes to desserts—that’s because award-winning Executive Pastry Chef Michael Mignano is in a league all his own. As the co-author (with Michael Zebrowski) of the bestselling book The Pastry Chef’s Little Black Book, there’s nothing he can’t do with some flour, fruit, and sugar! He invented the Candy Bar, a beautiful, nutty dark chocolate dessert inspired by his favorite episode of Seinfeld when Elaine’s eccentric boss Mr. Pitt eats a candy bar with a knife and fork. Says the affable pastry chef, “I needed to create a luxury version of a candy bar. So back in 2005, while commuting on the train from Penn Station to Babylon, I sketched this amazing concoction. The best part is that it is eaten with a knife and fork on a plate. I did an upscale version of a Snickers bar, swapping out peanuts for macadamia nuts and cashews and using a 70 percent single origin chocolate instead of milk chocolate.” By the way, be sure to have Mignano’s Crème Bruleé (there’s no finer version anywhere). 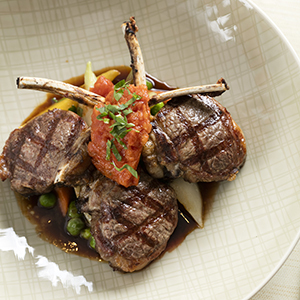 We are sure that your mouth is watering just reading about those farm and fresh sea dishes! Be sure to check out the Mother’s Day lunch and dinner menu that features Chef Bijou and his kitchen staff pulling out recipes created by their moms—including Josephine Mignano’s Strawberry Shortcake. 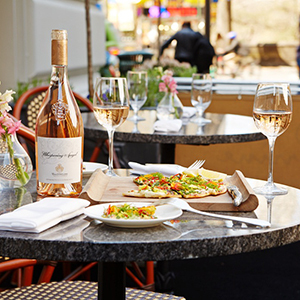 During summer months, be sure to try the casual Rosé Terrace (the entrance is on East 61st Street) and enjoy breakfast, lunch or dinner; it’s pet friendly. 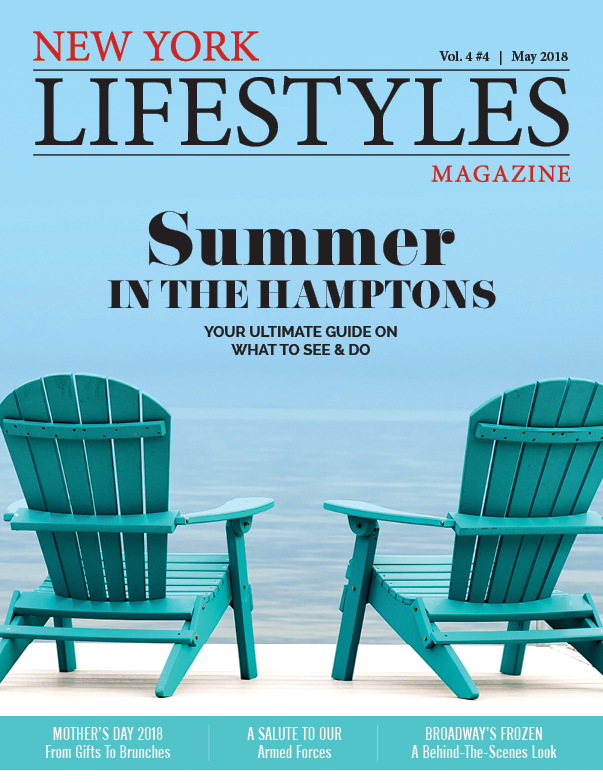 For more information on Perrine, visit perrinenyc.com. Reservations are recommended; dress is casual chic.